I’m the type of person that will almost always choose savory over sweet when it comes to breakfast. But no matter how great eggs and bacon are, they can get kind of boring. Since I am totally behind the game on experimenting with waffles, I thought it was about time and what better way to do so than with my bestie/partner in crime/fellow food blogger Breakfast with Bex who is finally back in DC for good? 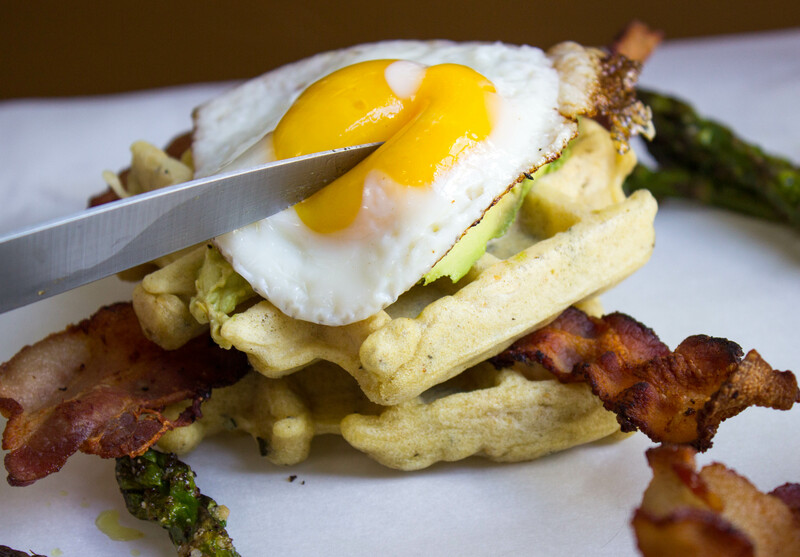 Like the food-obsessed people we are, we spent Saturday night concocting the perfect recipe for the next day’s brunch and these waffles did not disappoint. The shining star is hands down the rosemary-infused olive oil, so that is kind of a must. 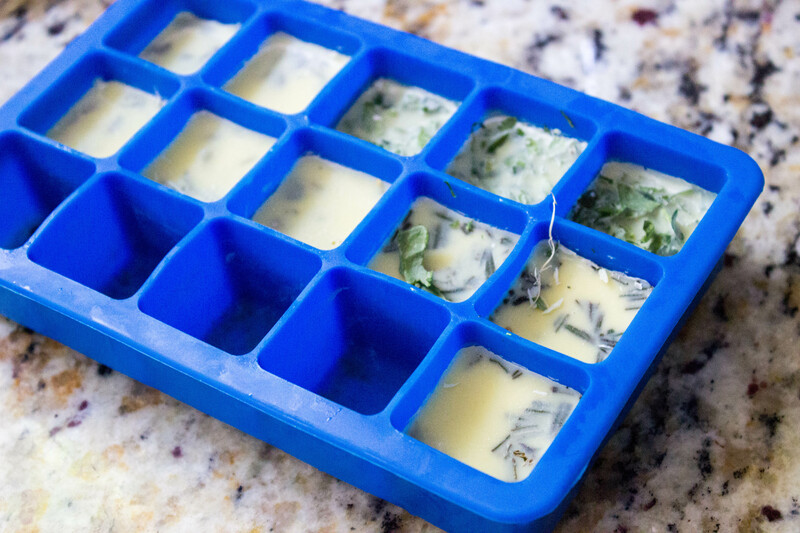 Whenever I get fresh herbs, I always chop them up, throw them in an ice cube tray and then fill with olive oil so I can have infused olive oils on deck whenever I could possibly need them. You can do this, or you can let some rosemary and olive oil sit together for a few hours. Either way, your waffles will turn out delicious. Recipe created with Breakfast with Bex. Make rosemary-infused olive oil by combining the two ingredients and let sit overnight. 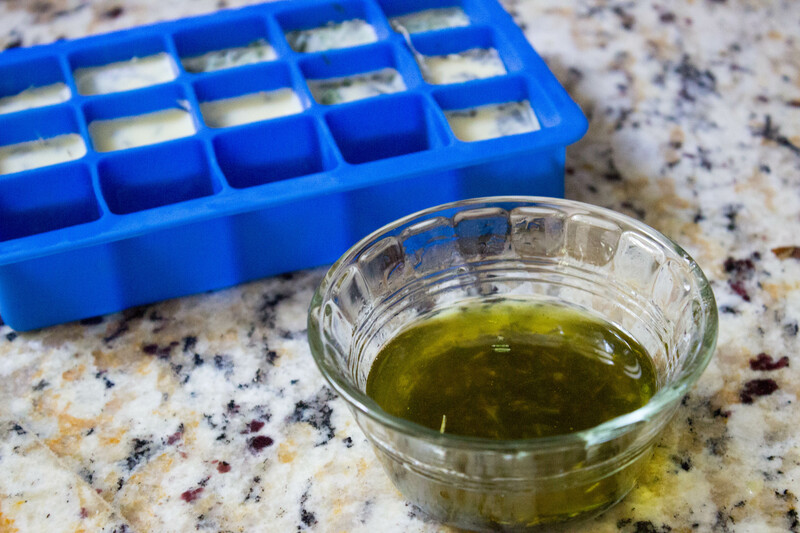 Or you can do what I did and combine rosemary and olive oil in ice cube trays and freeze until ready. 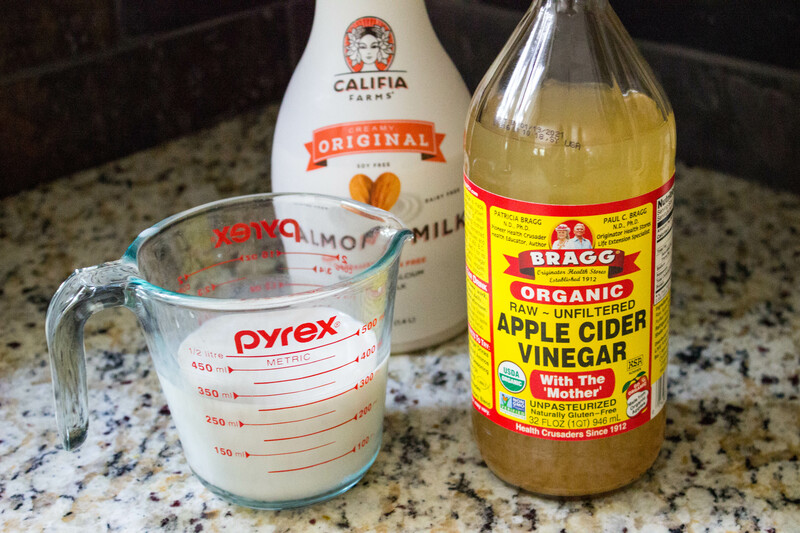 Combine milk and apple cider vinegar in a small bowl. Stir to combine and let sit for a couple minutes. 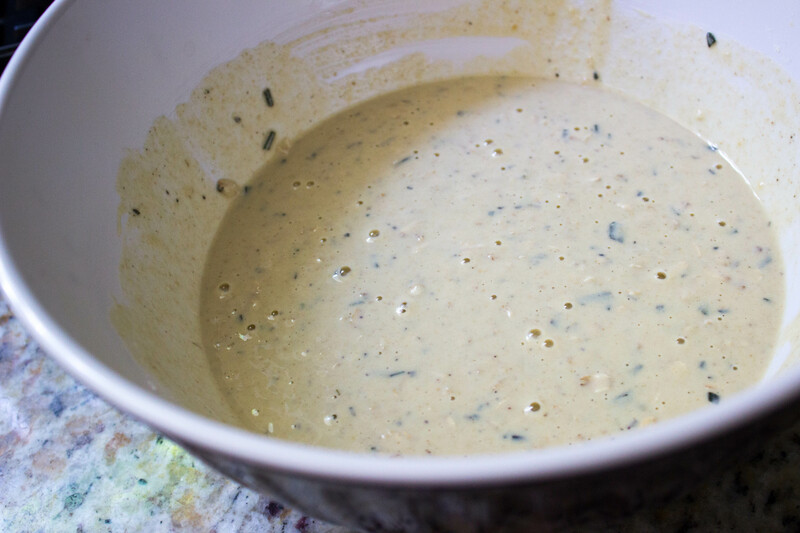 Add rosemary-infused olive oil to milk and vinegar mixture, stir to combine. 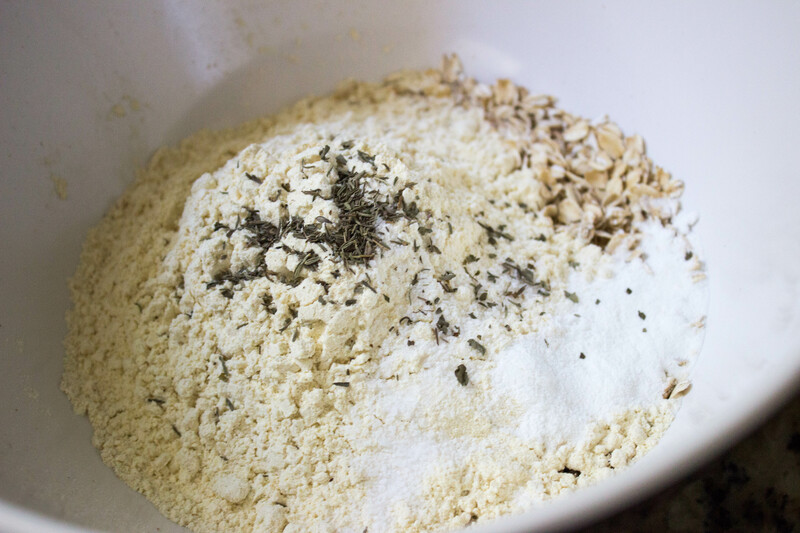 In a large bowl, combine oats, flour, baking powder, salt, pepper, dried basil, and dried sage. Add wet ingredients to dry and combine until fully incorporated. 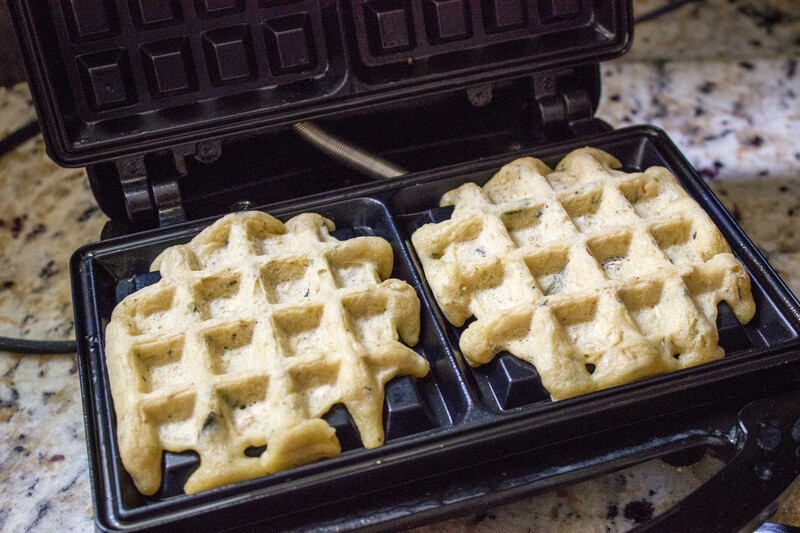 When waffle iron is ready, place batter inside and cook until your waffle iron says they’re done. 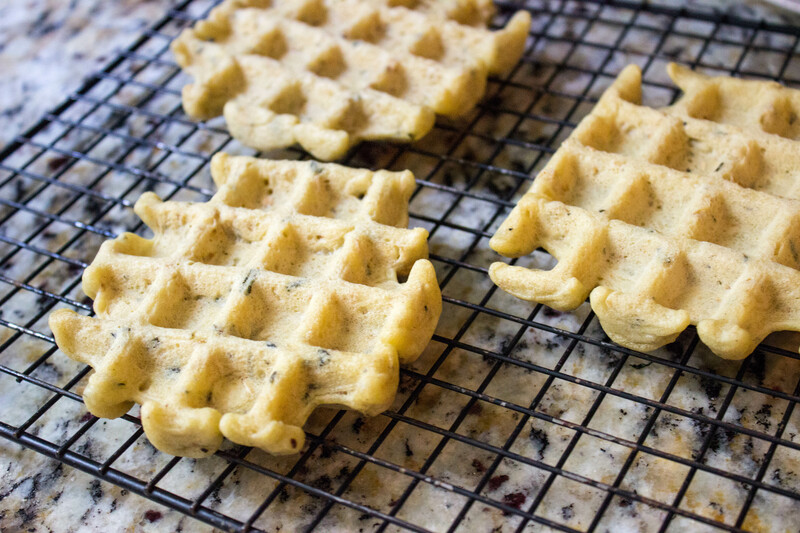 When waffles are cooked, place on a cooling rack until ready to eat so they stay crisp. Top with bacon, egg, cheese and whatever other toppings you desire. I love rosemary and have some in my garden. 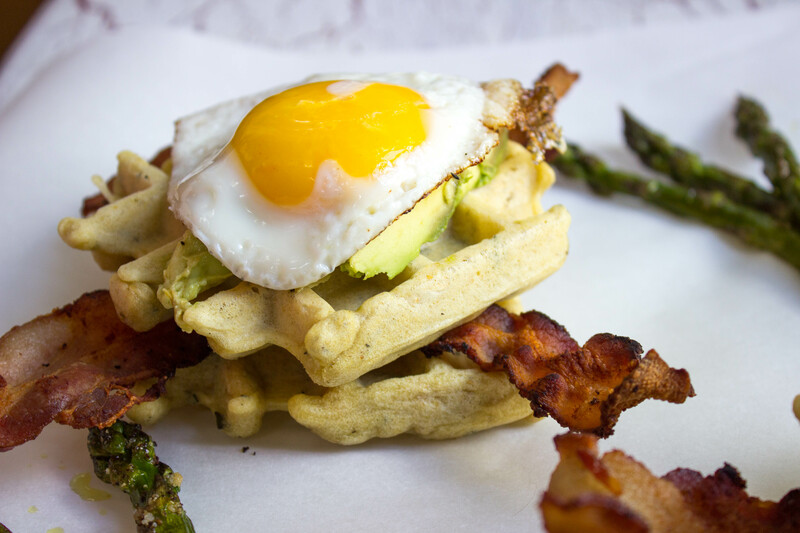 I am also more of a savoury person so these breakfast waffles are perfect for me. Thanks for sharing, Chloe.